The top image shows an Artist's impression of the BepiColombo spacecraft arrriving at the planet Mercury. 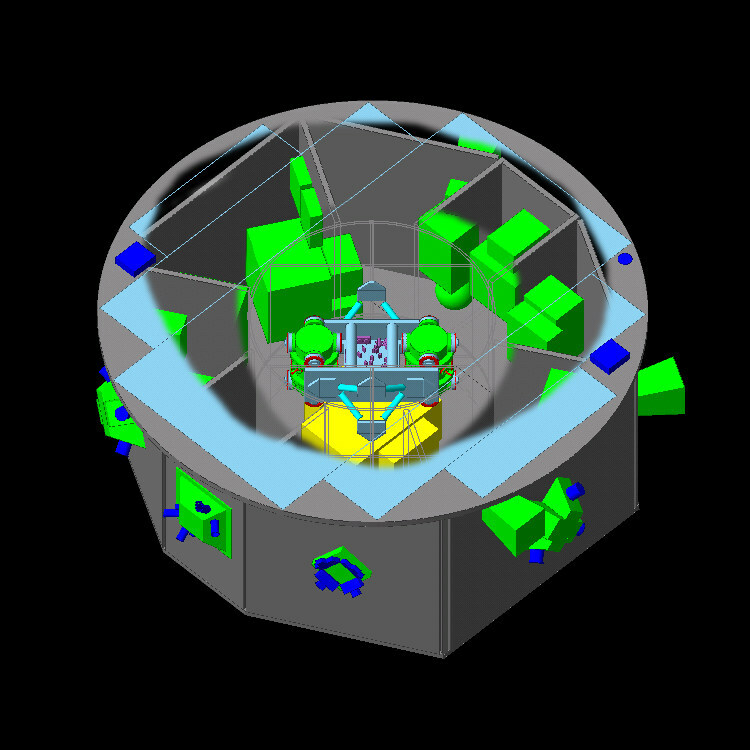 The central image shows the geometry of the CMS detector in preparation for CERN's Large Hadron Collider visualized with the Iguana system. The bottom image is a cancer brachytherapy applicator together with the dose distribution in human tissue. 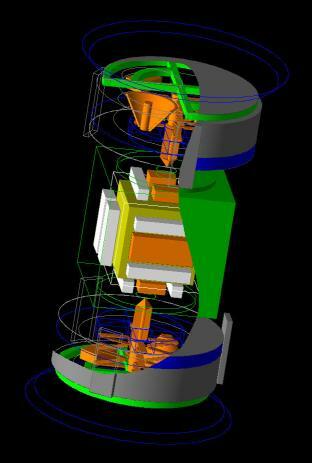 The ATLAS collaboration is using Geant4 to simulate its detector and its test beams. A large collections of comparison of test beam data with Geant4 have been undertaken. This picture shows a view of the ATLAS detector's outer muon chambers. 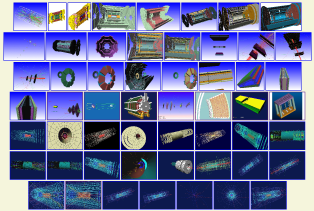 More pictures of the ATLAS experiment for CERN's forthcoming LHC (links to pages of the ATLAS web site). A superficial brachytherapy device and the resulting dose distribution, simulated with Geant4 and analysed with CERN's Anaphe analysis tool. Two years in orbit and over 1200 observations so far, XMM-Newton is now preparing a second round of observations. An assembly of 51 mirrors, carefully sized, formed and nested one inside another, makes XMM the most sensitive X-ray telescope ever built. 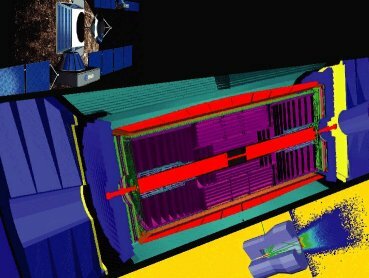 ESA's XMM-Newton derives its name from its X-ray multi-mirror design and honours Sir Isaac Newton. This unique X-ray observatory was launched by Ariane 5 from the European spaceport in French Guiana on 10 December 1999. ZEPLIN III (picture on the left) is a two-phase xenon experiment being built by the UK Dark Matter Collaboration which will try to detect dark matter WIMPs from their elastic scattering in a liquid xenon target. ZEPLIN III will measure both the scintillation and ionisation signals produced by nuclear recoils potentially caused by WIMPs. 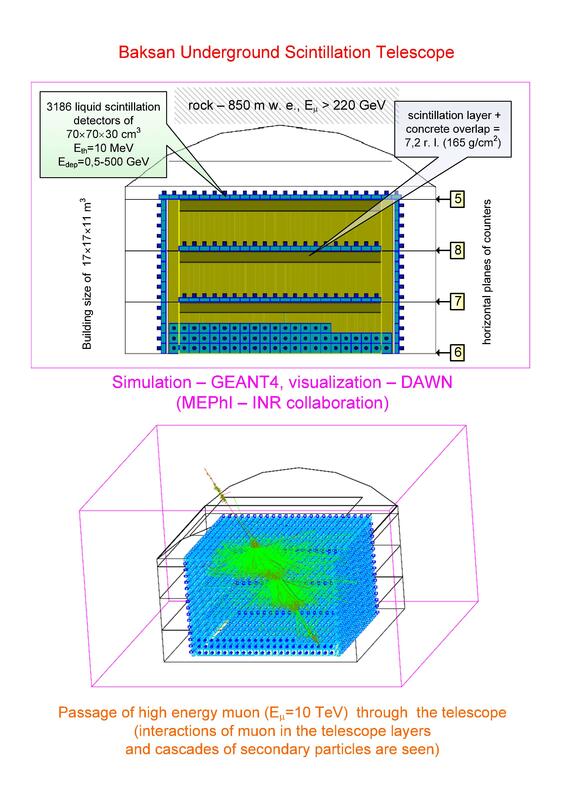 The Geant4 model simulates particle interactions in the detector, prompt scintillation as well as the production and emission of ionisation charge at the surface of the liquid by means of an applied electric field. In the gaseous xenon above the liquid, this charge is converted into electroluminescence photons which are tracked and detected by an array of photomultiplier tubes (picture on the right). Geant4 geometry model of a LISA Science Module spacecraft (picture on the left) used for test-mass charging simulations. 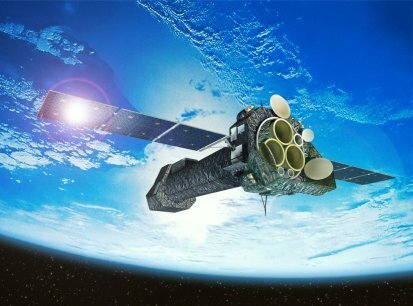 LISA is a joint ESA/NASA mission (launch in 2013) designed to detect gravitational waves by means of interferometric measurements in space. These are performed between three spacecraft flying 5 million km apart in a triangular constellation. Exposed to energetic particles in the space environment, the isolated test masses aboard the LISA spacecraft will accumulate electrostatic charge, which can affect the sensitivity to gravitational waves. 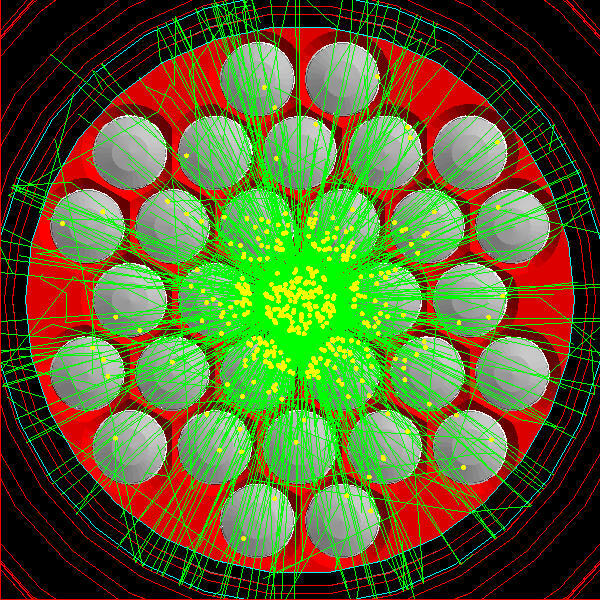 Simulation of the nuclear reaction of a cosmic-ray proton in one of the LISA inertial sensors. These events can lead to a large number of charged particles being ejected from, or imparted into the test masses. 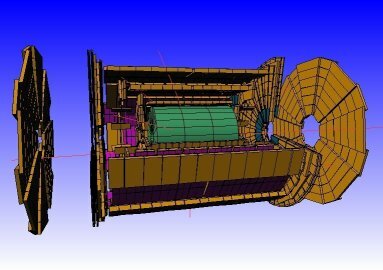 Geant4 geometry model of the inertial sensors which may be used in LISA (see above) and its demonstrator mission LISA Pathfinder (see below). The simulations tally the charge entering and leaving each test mass (yellow) as a result of the interaction of energetic cosmic rays with the spacecraft. 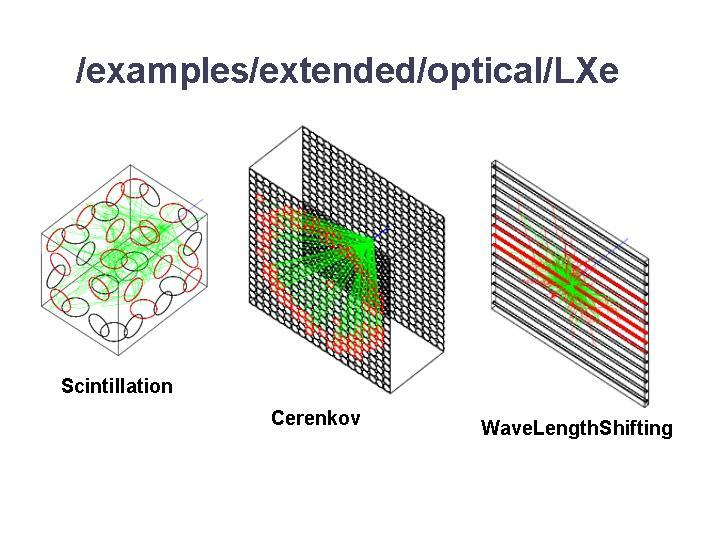 Geant4 geometry of the LISA Pathfinder spacecraft. 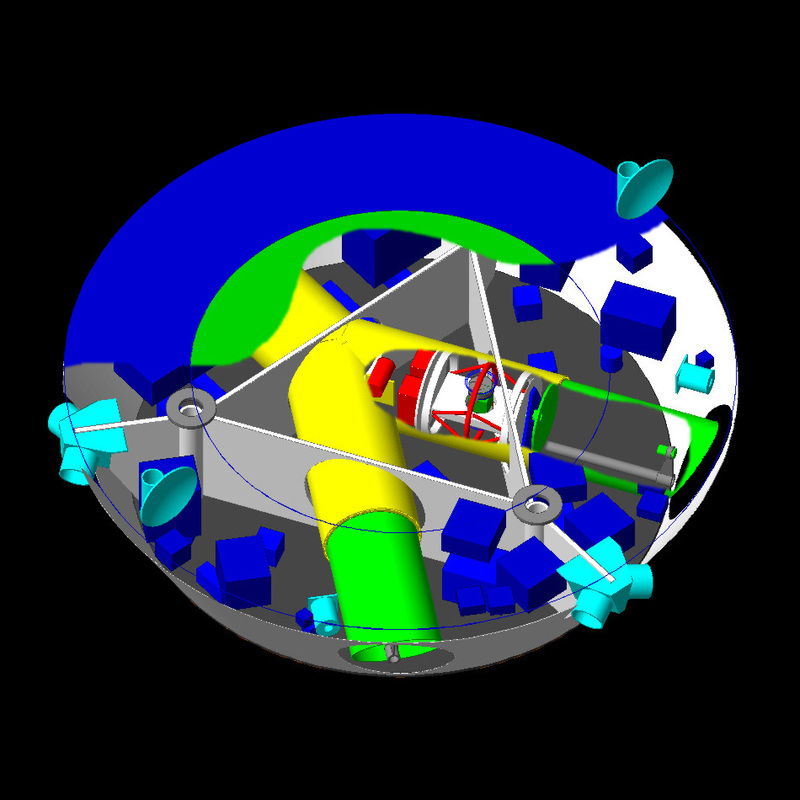 The Pathfinder is an ESA mission (launch in 2008) aimed at demonstrating key technologies required for the success of LISA. The model was used to simulate test-mass charging in the inertial sensors of the LISA Technology Package (LTP). 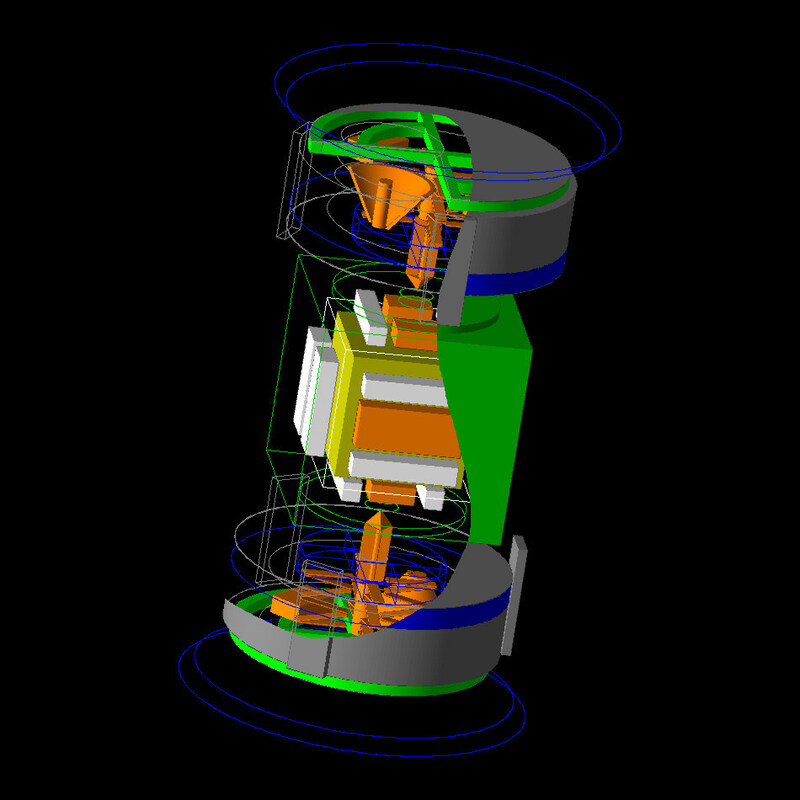 Model of the LISA Technology Package payload; each vessel contains one inertial sensor similar to the one shown previously. 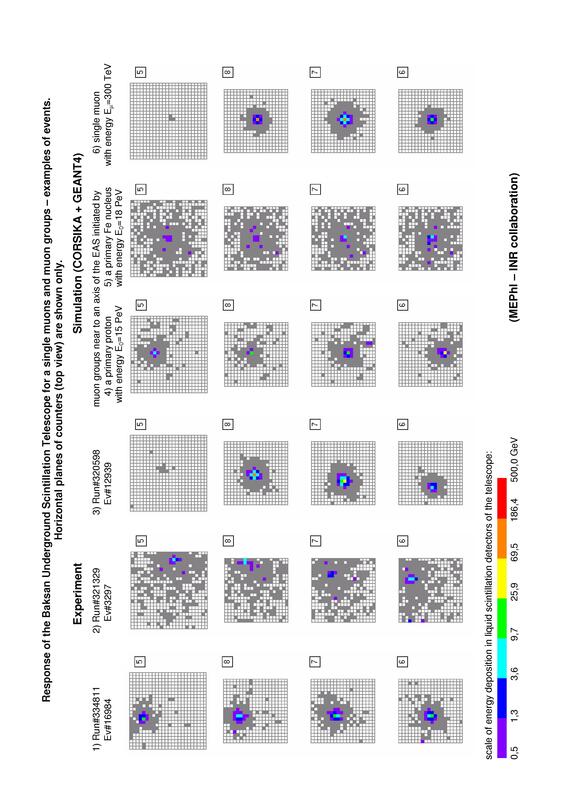 Using Geant4 to simulate the response of Baksan Underground Scintillation Telescope (BUST) for both single cosmic ray muons and their bundles. 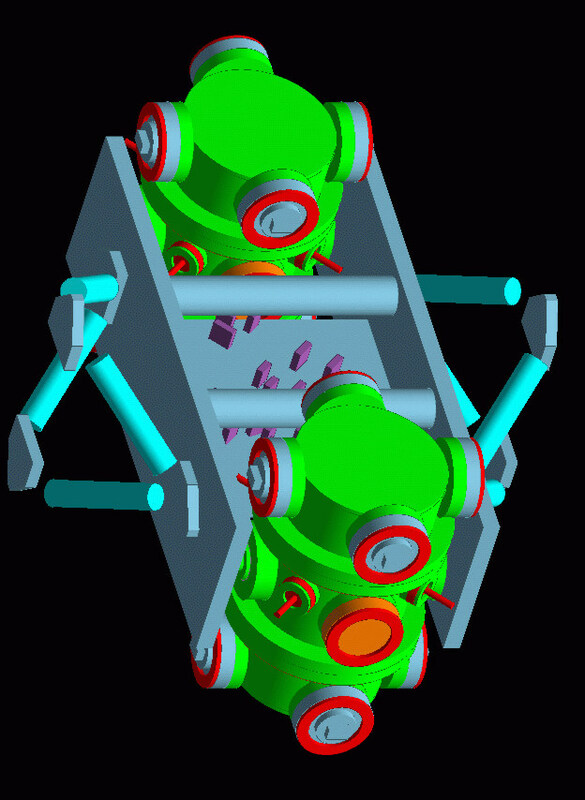 The goal of this calculations is to check a technique for Very High Energy (VHE) (100 TeV) muons selection and to compare results with experimental data. 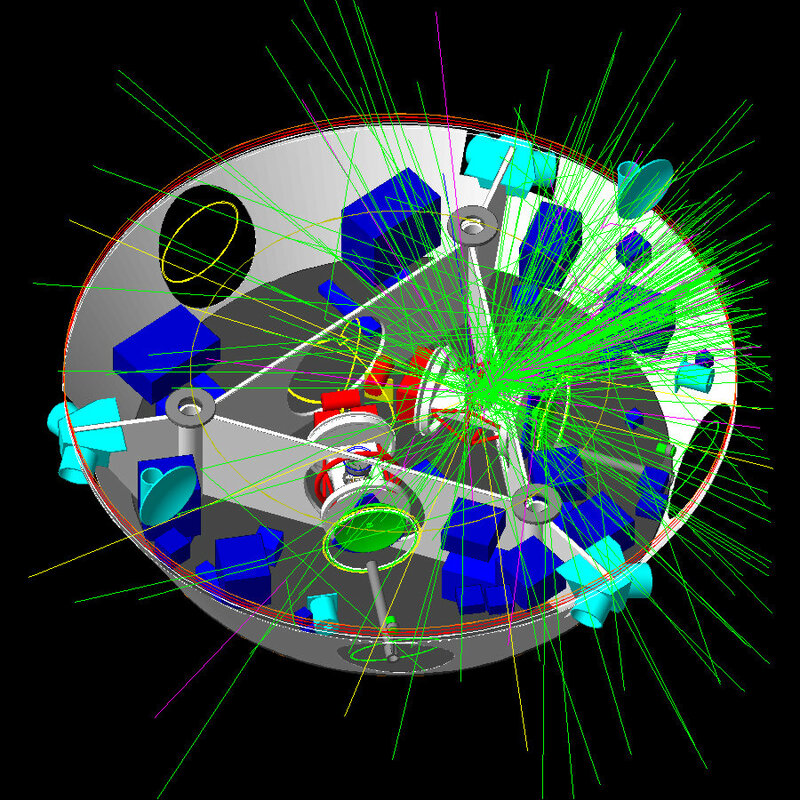 Excess of VHE muons can be the evidence for new physics existence at PeV energies (that corresponds to TeV energies in the center-of-mass system). V.N. Bakatanov et al. 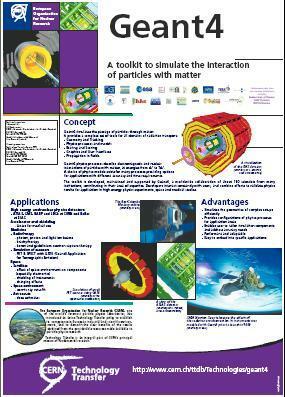 "Study of very high energy muons on the basis of data of the Baksan Underground Scintillation Telescope"
Poster prepared by CERN technology transfer for Geant4.